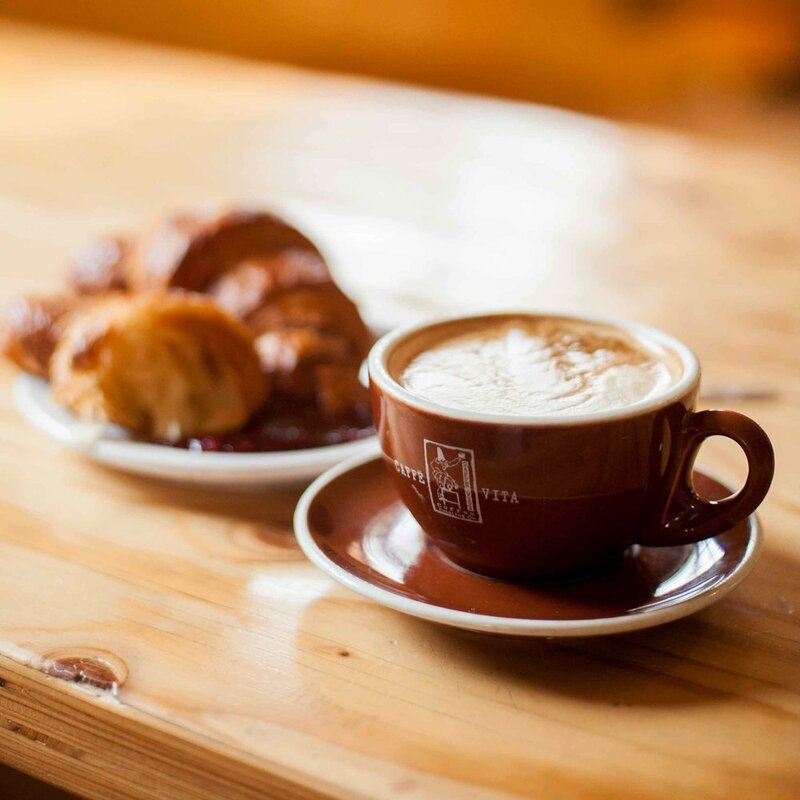 The Anjou is a family-owned small production bakery, espresso bar, and café grounded in European tradition and American craft. We love the classics, honor traditional breads and pastry, and add our own little twist when we can. We work with the best available ingredients and keep our menu petit to bring you consistently delicious, full-flavored foods time after time. Stop in and Eat Well! Enjoy a select menu of laminated dough pastry, hearth-baked bread, fruit pies, and a rotating lineup of sweet treats. Delight in the nuance of finely crafted coffee with our focused espresso menu. Made with Caffe Vita beans and water, whole milk, or our house-made almond milk. Enjoy as is or add a house-made syrup or sauce of your choice. Savor sandwiches crafted with house-made Parisienne style baguettes. From the adventurous to the minimalist - there is something for every palate. Fillings and flavors may change with the seasons, but the iconic cured ham and European butter remains on the menu year-round. Choose from a select menu of laminated dough pastry, hearth-baked bread, fruit pies, and a rotating lineup of sweet treats. Kevin and Heather Knight moved to central Washington with a desire to live and work in a bucolic atmosphere. They found their home amongst the pear orchards of Cashmere, Washington and the Anjou Bakery was born. With the help of family and friends they transformed a turn-of-the-century fruit warehouse into the award-winning bakery you see today. The surrounding natural beauty, unique atmosphere, and ever-evolving menu provide customers - both local and far flung - a refuge to enjoy humble and essential foods.